Big Little Lies is a seven-episode series starring Reese Witherspoon, Nicole Kidman & Shailene Woodley. It’s airing on HBO in America this Sunday (19th of February) and looks like it will air on Sky Atlantic in the UK sometime in March. Perfect family, perfect house, perfect life; Jane, Madeline and Celeste have it all . . . or do they? They are about to find out just how easy it is for one little lie to spiral out of control. I was very surprised by how much I enjoyed this book as it’s certainly not my usual sort of genre (give me Stephen King, fantasy, dystopian, or post-apocalyptic!). Is it chick lit? I hate that term – It’s so condescending. And I hate the so-called chick lit genre as it tends to be the “silly” books that are given this label. I suppose it’s certainly aimed at female readers, though. I haven’t read reviews at all but I would assume the main comparison being used to describe this book’s story & overall feel is Desperate Housewives, which would be extremely accurate. I have a confession: I’m not a girly girl & watch very few girly things but I watched all of Desperate Housewives (despite its AWFUL title, which almost made me not watch it in the first place). But then the opening DH scene started with a tragic death and a woman who then happily realized that it meant she wouldn’t have to return (some kitchen appliance she’d borrowed – can’t remember) to the now-dead woman. And I was hooked! Well-written dark humor with rich characters is something I can get behind. Who cares what label you give it? I don’t think Big Little Lies is quite as good as that first season of Desperate Housewives (as with all shows, DH went badly downhill in later years) and it doesn’t have as much of that darkly humorous streak but it’s a fun satire on parents, particularly mothers, and the crazy world of school politics. Big Little Lies starts with a tragic & unexplained death on the night of the adult-only trivia fundraiser taking place at the novel’s school. Our three main characters, Jane, Madeline & Celeste, each have five-year-olds attending their first year of school. This is a fairly long book that I found a very quick read thanks to the way it was broken up into so many chapters & the way most chapters ended with statements from witnesses who were there on the trivia night. After the opening chapter in which someone has died, the novel then goes back to the beginning of the school year to introduce us to all our main potential victims and murderers. I loved not even knowing who ends up the victim, which kept me reading as I was anxious to find out. The witness statements at the end of the chapters give us little clues along the way as to what may have happened. 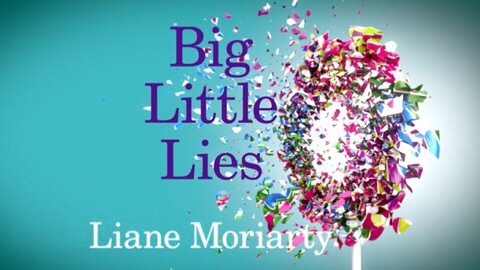 Big Little Lies isn’t exactly some piece of “worthy literature” but it was a light & entertaining read and should make for an enjoyable TV series. I’d actually like to see them up the dark humor for the show if they can. The book sounds more shallow than it actually is – It tackles some heavy issues, especially at the end, but it could’ve done with sticking more to its sassy satire we mainly glimpse in the witness statements and through the character of Madeline. Speaking of Madeline, the casting of Reese Witherspoon for this role is absolute perfection – I can totally see her as this outwardly superficial character with the deep down heart of gold. I can also see Woodley & Kidman as Jane & Celeste now even though Celeste won’t be how I pictured looks-wise but Kidman definitely has the right sort of personality & manner to suit the role well. With a lot of big names involved, including Jean-Marc Vallée as the director, I think the show is in good hands & I’m looking forward to seeing how they adapt the book.